The upstairs Consignment Gallery offers our customers a large variety of quality furniture, home furnishings, original and limited edition art and beautiful jewelry. The downstairs Thrift Shop has a fabulous selection of clothing for men, women and children, plus beautiful and unique home décor, antiques, music, vinyl, books, furniture and so much more! Our purpose is to raise operational funds for the Greenwood Wildlife Rehabilitation Center while serving the public’s need for a place to consign and purchase high quality, gently used and reasonably priced home furnishings, jewelry, artwork and home decor. All proceeds from the store go directly to Greenwood Wildlife Rehabilitation Center to help the animals in our care. 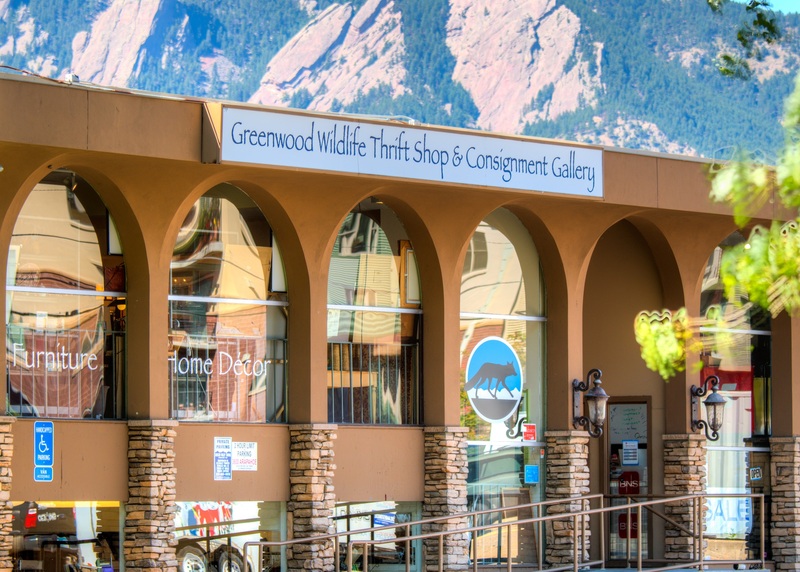 Greenwood Wildlife Thrift Shop helps fund a non-profit, 501(c)(3) organization based in Lyons, CO. All proceeds from the store and your donations go directly to Greenwood Wildlife Rehabilitation Center to help the animals in our care.